We’ll get to deciding what to do with the Dome when we get to it. Harris County leaders are in no rush to decide what to do with the Astrodome, leaving the empty and decaying stadium to languish further following last week’s voter rejection of a $217 million plan to convert the iconic stadium to an events center. Although a majority of court members said prior to Election Day that demolition would be the obvious choice in the event voters turned down the event center plan, not one of them is championing a tear-down. The delay could give historic preservationists time to gain some type of landmark status for the 1965 Dome, which could block its demolition or place limitations on what could be done with it. Even Precinct 3 Commissioner Steve Radack, who has suggested turning the sunken floor of the Dome into a detention pond in an effort to mitigate flooding and slash the cost of filling the 35-foot-deep hole, said he has no plans to push for a vote to demolish the dilapidated stadium. Commissioners Court will have some built-in lag time: Dome asbestos abatement, slated for approval Tuesday, is expected to begin in December and will take an estimated six months to complete. “I have no deadlines in my mind,” Precinct 4 Commissioner Jack Cagle said last week after the election. Look, I voted for the Dome resolution. I myself suggested that the referendum didn’t specify demolition if it failed. I’m as happy as anyone that we’re not fitting it up for the wrecking ball right now. But something needs to happen, and Commissioners Court needs to make up its mind. We can’t go back to the status quo, if only because the 2017 Super Bowl is looming, and there will for sure be plenty of pressure from the Texans and the NFL to Do Something. If demolition is in the future, then let’s be clear about it and not raise any false hopes. 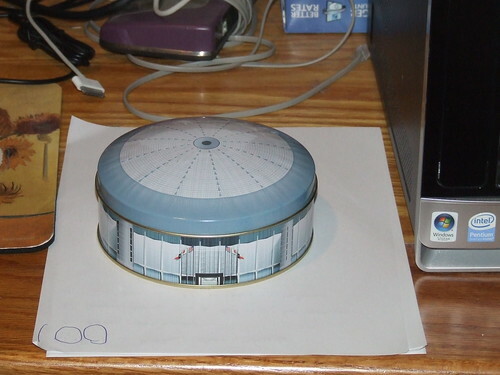 If Commissioners Court really doesn’t want to demolish the Dome, then they need to get another plan out there pronto. There is a deadline, and we can’t just sit around and wait any more. In the meantime, other groups that do know what they want to do are taking their own action. The city of Houston’s historical commission has voted unanimously to consider an effort that could give landmark status to the endangered Astrodome. Maverick Welsh, chairman of the Houston Archaeological and Historical Commission, put forward the motion at the agency’s monthly meeting last week. The move, however, was principally symbolic. Such a designation would only put a 90-day hold on any demolition. “It’s the only thing we can do as a commission to try and raise attention of saving the dome,” Welsh said. If the commission decides to move forward, City Council would have final say on the historic designation. I don’t know that this is anything more than a symbolic gesture, but at least it’s a direction. If the stakes in this election were “vote for the New Dome Experience or we’ll be forced to try and figure something else out” and not “vote for the New Dome Experience or the Dome goes bye-bye”, then Commissioners Court needs to get cracking on figuring out that something else. If it was the latter, then I’d rather get it over with quickly than string it out. But please, we’ve had the vote. Please tell us what it meant and then do something about it. Campos and Texpatriate have more. Not one of the commishes will speak to dome demo. Also, not one will speak to selling the property as is/where is, to a private entity, for any use the entity deems appropriate, and putting the property on the tax rolls. Nor will any speak to the one or two TIRZs overlaying the dome area and the fact that even when we sell it off, any new tax rev will be grabbed by the TIRZ.